2018 Allure Best of Beauty Award winner. Lasts 300 kisses! * Finally, lip color that won’t kiss off. Discover 7 sheer-to-stay shades that are moisturizing, stray-proof, smooch-proof, and fade-proof. 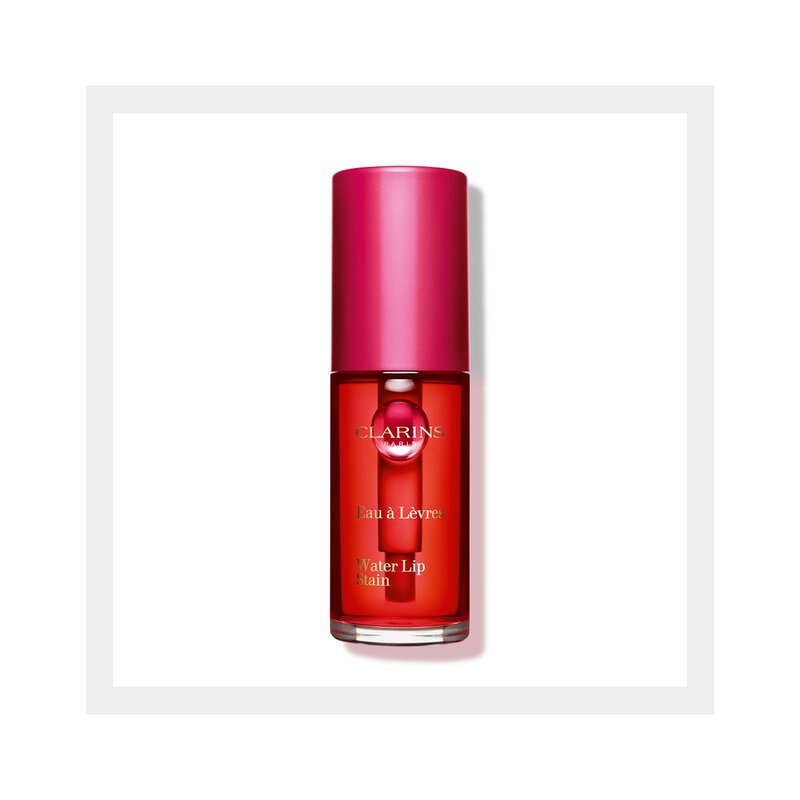 Formulated with all the benefits of a lip treatment, Water Lip Stain leaves lips soft, hydrated and incredibly comfortable. You customize the result—from a just-kissed look to high voltage color. The more coats, the deeper the color intensity. Kiss-kiss, hooray! *Clinical test - 22 volunteers. Rated 1 out of 5 by AnnePhoebe from Soooooo hard to take this off I received a tiny sample courtesy of Clarins, red shade. The color itself is beautiful, and I don't feel it at all, as suggested by other users. But I give it 1 star because this thing is so hard to take off! I tried the Clairns make up remover, Lanxxxx make up remover, both the oily and watery formula, but this lip stain won't come off. Rated 5 out of 5 by Virgobon from This is my FAVORITE lipstick/ stain!!!!! I love using this! I even apply before bed time! It taste wonderful & looks awesome!! It’s a super light feel. I hate heavy/ greasy feeling of lip product. I’m having so much fun with this stuff! Rated 5 out of 5 by bbninja from Long lasting color Lasts all day. Beautiful color. My favorite lip product this year! Rated 1 out of 5 by Maddy1 from Disappointed I have purchase this product its very disappointing.its water stain it doesn't bleed at all. Benefit lip stain is better than this.I will not purchase this again.this might as well be discontinue.it taste amazing .Be sure if applying this product exfoliation must be needed to apply this .Well that's all folks .I wonder if they all the same.I had the red water.The skincare are all amazing and the lipsticks only the water stain is not. 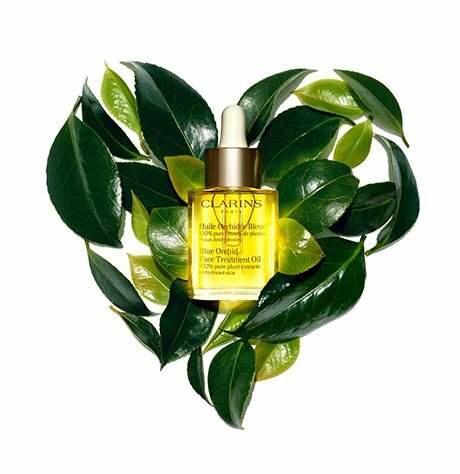 Other than that I still love my clarins. Rated 1 out of 5 by SCS SWFL from color disappears very quickly even with a primer I'm a very long term user of Clarins products. 30 years or more. This stain didn't last, and my lips burned. I assume it has some sort of alcohol. I'm over 70 so younger skin may react better. My skin has never been sensitive to any Clarins product, so this is unusual. Rated 5 out of 5 by Tucson from Absolutely terrific I recently purchased the lip stain. I always think my lips look too thin and no matter what lipstick I apply, it disappears quickly. This lip stain makes my lips look fuller as the color stays on a long time (even when I workout and sweat). It looks great with the lip oil on top or a lipstick. I've ordered another color. Love, Love it. Rated 4 out of 5 by Eliz33 from Beautiful long-lasting comfortable red stain. Love Perfect red color stain. For those comments that say its hard to apply or runny - just make sure you swipe the excess off the brush ( as u would with nail polish). The red color is beautilful on the lips (light skin, blue eye, blond). This stain is better than any other I tried. Comfortable on the lips. Lasted thu a meal ( faded nicely, evenly). I just wish Clarins would stop animal testing because they do for China clients.